The Note series from Samsung is one of the most iconic and well-built range of smartphones. All Samsung Note devices have the stylus or the S-Pen. Samsung Galaxy Note 4 was launched in 2014 and is still available in some parts of the world. Samsung Galaxy Note 4 has a massive 5.7-inch Super AMOLED capacitive touchscreen. The screen is protected by Corning Gorilla Glass 4. The phone has 3GB RAM, 32GB onboard storage, Qualcomm Snapdragon 805 processor, Adreno 420 GPU, dedicated microSD slot, NFC, Bluetooth, and so on and so forth. This phone packed all the high-end features. Able to take amazingly beautiful pictures, Samsung Galaxy Note 4 is provided with a 16MP primary camera and 3.7MP front-facing camera. Photos from the main camera look pretty amazing but the front shooter is just about average. Samsung Galaxy Note 4 just doesn’t fit in 2019 and hence if you have this phone, you should consider selling it. Also, you can buy devices like Samsung Galaxy S9 and Samsung Galaxy Note 8. 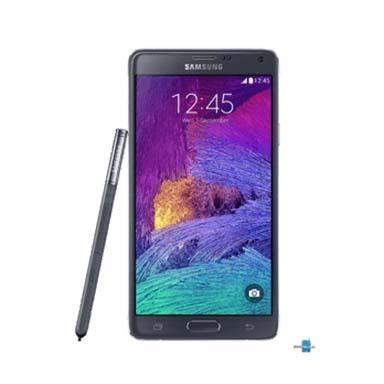 If you are looking to sell old Samsung Galaxy Note 4 then Log onto cashify.com and sell old phone in just 1 minute. Why Sell Your Old Samsung Galaxy Note 4 On Cashify? Cashify is a platform which you can use to sell old mobile phones from the comfort of your home. Cashify has already encashed more than 12 lac devices of all major brands. 1. Go to cashify.com and click on the Mobile Phone tab. 2. Click on the Samsung tab to continue. 3. Now, click on Samsung Galaxy Note 4 phone and you’ll see an estimated price right away. 4. Now, click on the Get Paid button to proceed. You don’t have to worry about the payment. Money will be transferred to your account as and when the Cashify agent collects the device and verifies it. You can also opt to take cash.